The Samsung Galaxy S9+ is one of the best smartphones of 2018 according to well respected reviewers like CNET, ZDNet and DigitalTrends to name just a few. It features a second rear camera that enables enhanced portrait photos. Samsung states that the S9 and S9+ models share the fastest download speeds of any smartphone. If you’re in a hurry, here are 3 of our top picks for S9+ cases. We breakdown each case below and a few others to help you find the right one for you. In case you didn’t know, the Galaxy S9 and S9+ are different. 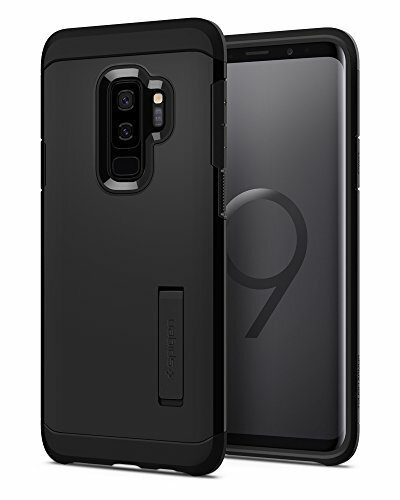 The S9+ is slightly larger than the S9 so the cases are not interchangeable. 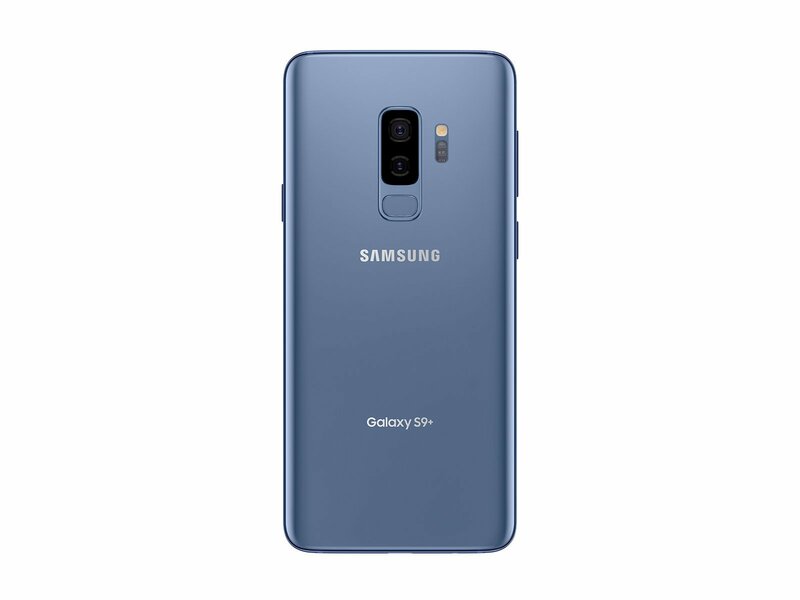 The features also differ so if you want to compare, check out the Highlights and Specs pages at the Galaxy S9/S9+ site for more details. 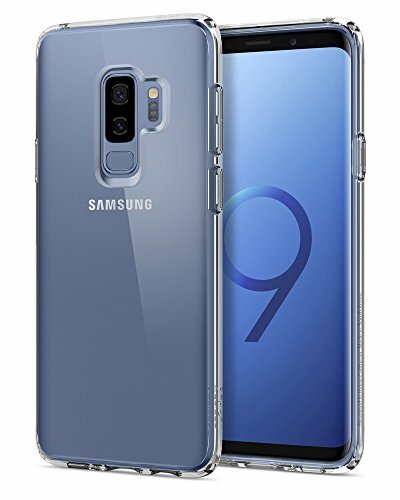 One more thing, S9+ is the phone’s official name but it is frequently called the “S9 Plus” on the Internet. A little confusing since Apple names some of their iPhone models “Plus”. Just something to keep in mind. 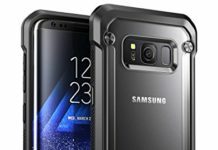 For a look at cases for the Galaxy S9, check out our reviews. 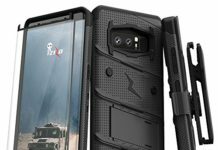 This phone just made its debut in spring 2018, but there are already a number of great Samsung Galaxy S9+ case designs available. So if you’re planning on picking up one or have already perhaps placed your order, grab yourself an awesome case from the following top picks! The case provides great drop protection and stands up to lot of punishment. A great case for protecting your expensive smartphone. You may find that the screen protector is not suited for your needs. In that case, you might want to invest in a better quality one such as the Dome Glass Screen Protector by Whitestone or select from other tempered glass screen protectors that are on the market. 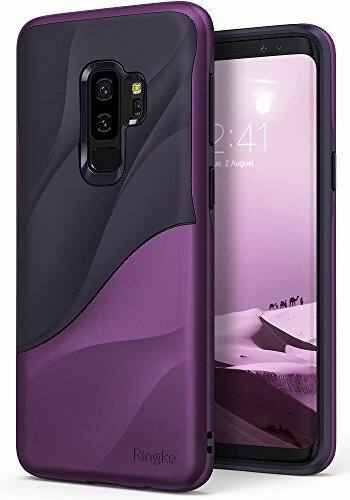 A beautiful case (notably the Metallic Purple, Coastal Blue) with a unique wave design makes this a desirable addition to your S9+. Only notable drawback is the slippery case. If being slippery is not a good match for your hands or if you are prone to drops already, take a look at some of the other cases that offer a better grip. Otherwise, the Ringke Wave has a great aesthetic look and you’ll likely be pleased with it. Explore the color options – some really nice looks to choose from. 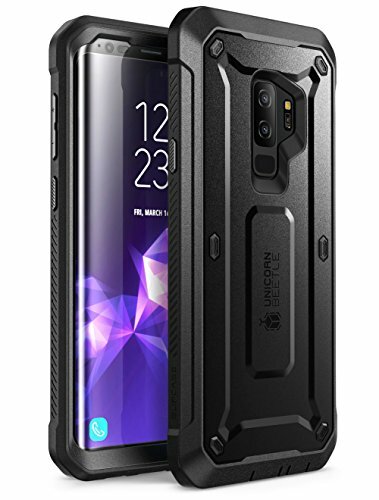 A case like this doesn’t offer the kind of protection that an Otterbox Defender or Unicorn Beetle PRO would – but it is a nice combination of protection and sleek style that deserves consideration. Spigen has a lot of fans out there who are loyal to the brand. Those who like this case, which is a the large majority of buyers, really like it. The Tough Armor is a good looking case with some nice color options. If you enjoy using a kickstand for catching a movie, this case might be the one for you even if the kickstand is a little lacking. The case design protects against drops and you can add screen protection for some extra peace of mind. The kickstand is a well liked feature that comes in handy but it is the screen protector that gets the most attention – both positive and negative. The protection it gives the screen should be weighed against its lack of quality which results in scratches even with gentle usage. 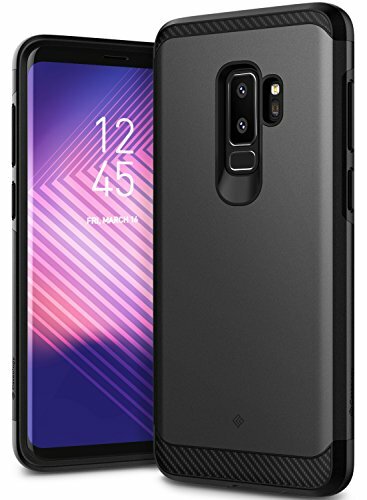 Most fans of Spigen cases will like this option and will certainly appreciate the way the clear case shows off the color of the S9+ itself. 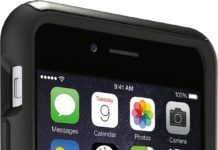 Although the case protrudes enough at the top and bottom to offer some protection for a drop face down, you may want to consider a screen protector. There is some disappointment with the back of the case because it is prone to getting scratched. However, most buyers are happy with the case and are loyal to the Spigen brand. 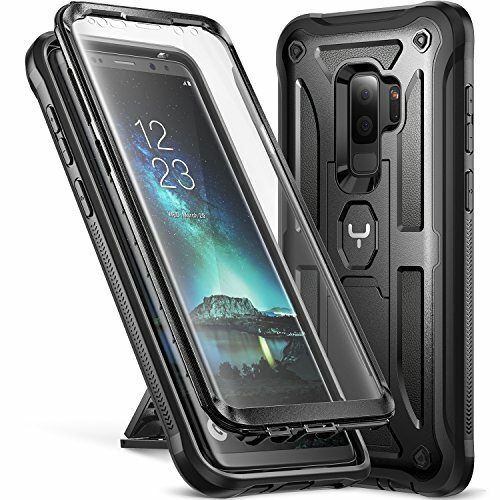 If you like Spigen, we suggest you also take a look at the Tough Armor case shown above. An attractively made case offered in several beautiful colors, the Legion has a lot of satisfied customers. Case has a good feel and a good look. Because the heart rate sensor is difficult to access, take a look at other case options if this feature is important to you. Reports of the case peeling are disappointing but only a few buyers mention that issue. As with a number of cases for the S9+, you may want to add a screen protector to protect your investment.